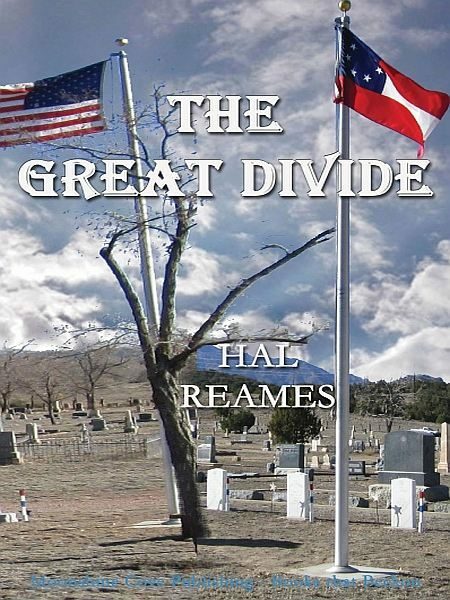 "Hal Reames walks the reader back into the heart of the American Civil War, let by his amiable ex-slave raconteur, Bernard, who knows the heart is a 'more personal organ.' "-Michael Wolfe, author of the Hadj, Invisible Weapons and The Conversion of Henry IV. Thomas, a "free-thinking" ex-union soldier from Kansas migrates west and is building a schoolhouse for a friend's sister. A wagon train brings Amos, a former rebel who is now pastor to Texan Baptists. The murder of a child threatens to tear the town in two; and northerner and southerner, believer and non-believer, must form a partnership to hold it together. To prove poisoning and explain the killer's apparent ability to be in two places at once, the evidence-seeking skeptic must undertake a quest to Denver. An eccentric chemist in Central City will first teach him the Marsh Test for arsenic and then warn him that the grave of the murder's accomplice might lie empty. The secretary for the defense attorney shows the detective how a union of opposites can make a home under one roof. "...wit and originality shine through... I always look forward to a Hal Reames book. "-Phoebe Fox, author of The Breakup Doctor. "...A fun read and thoroughly satisfying...issues we as a nation are still dealing with today. You'll enjoy the read. "-Darrell Bryant, author of Geronimo's Bones. "...a work of literature...tells a story and...reveals eternal truths about the human condition. "-Ana Cecilia Carvalho, author of O Livro Neurotico de Receitas (The Neurotic Book of Recipes); Uma mulher, outra mulher (One Woman, Another Woman). "...relationships and some of his dialogues as interesting as the mystery and post-war conflicts. "-John Jones Asher, author of A Dignified Exit, Dogs of Mexico, and other works.